This weekend, I’ve committed to locking myself away with a bunch of other Tasmanian writers, and will attempt to write 30,000 words in a marathon 30 hours. The weekend is hosted by Tasmania’s literary magazine, Island (and Islet: a free online journal of micro works from emerging writers and visual artists, an initiative of Island magazine)… The epic write-fest is connected to the Emerging Writers’ Festival. “We start the weekend at 6pm on Friday June the 1st at the Meeting Room at the Salamanca Arts Centre and that is where we will be spending our writing weekend. Island will supply you with a shared, yet dedicated writing space and some inspiring books. We will have some tea and coffee and cakes and we are working on a special (proper) coffee deal for you. You will have access to the entire range of Salamanca eateries and drinkeries to keep you fuelled for the weekend.You will need to bring sharpened minds and laptops or other writing devices. We’ll have intermittent internet access – bring yer dongles if you’d like. And here’s what we’ve been given as inspiration – 9 Books on Reading and Writing – thanks to BrainPickings. I love reading about other writers’ daily routines and creative processes. How much wine/coffee they (need to) drink, how early they wake up, what gets them through writer’s block etc… So when I unexpectedly met emerging Irish writer, EM Reapy (Elizabeth), a couple of nights ago at a family dinner, I had no choice but to ask her to write a guest post for me on those very things. It was too good an opportunity to miss – she’s so driven and dedicated to her writing. And then there’s that intriguing ‘otherness’ that comes with all writers who live and work on an island (whether that’s Ireland or Tasmania). Look out for Elizabeth’s work; it’s good. I love the morning. The natural optimism of a new day bursting to life. I wake early and go for a walk or to the gym, if I can. If not, I get up, just have some time to ease myself into it all. I will probably nap in the afternoon though. I wake much too early to function after lunchtime. I make bullet points in my diary; deadlines, meetings, shenanigans. Then I roll up the sleeves, switch on the laptop and write fiction. Short stories and screenplays. Sometimes poems come. I write new story ideas down. Sometimes I work from a title or an image. Sometimes from a prompt, a memory. A lot of the time, I have the characters to start with. And then I ‘put them up a tree/throw rocks at them/get them down.’ I figure out what kind of trees and rocks and the success of the rescue mission, the survival rate of the fateful climbers. I allow myself crappy drafts. Horrible, sloppy writing. No one’s going to see this except me. It is dire and that’s fine. Flaws, dilemmas, tricky situations and how they get handled make things interesting and give strength in writing; in life. Working on bettering a draft is crucial to working on that distinct ‘voice,’ you have as a writer too. Sometimes I get real excited and finish a rough draft and then instantly go back and rework it. Hours will pass but I won’t have felt any of them. The muse brings with her a new perception of time. I’ll work the story again. And again, and again, and so on until I get it to a decent standard. Decent, not perfect. I’ll send it on to a reader and see what they think; where strengths and weaknesses lie; what opportunities have been missed and what isn’t working at all. I’ll be open minded and receptive to their critique. I will look at all their comments and look at the piece. See what I can do. These readers are friends I’ve made through various writing projects and through the MA in Creative Writing course I completed in Queen’s University, Belfast almost three years ago. I return the favour and critique their work when they need me to. Create networks with other writers. Support each other. There’s room for us all. Sometimes, writing new bits, I might trail off or sputter out altogether. I file everything away, even if it’s off to some murky space at the back of an IDEAS folder that never gets opened again. I keep it anyway. Someday, I might renovate. I rethink the old stories. The stories that I got bored of or that keep getting rejected. Or ones I wrote when I didn’t know tricks and techniques to make writing strong and clear. When I didn’t know that keeping it simple was the best thing I could do. I try and fix these pieces. If I can’t see where to fix, I take characters out and put them into new situations. I add and subtract. Chop and change and scrap and renew. If you get stuck, try it out as an exercise. Take Character A from Story 1 and Character B from Story 246 and have them sit beside each other on the Trans-Siberian, or on a sun lounger by a nudist beach or inside a Nobel physicist’s frontal lobe. Whatever. Try it out. I chip away at the ‘big’ projects too. I need to have at least two big projects to go between so that when I get bored with one, I flit back to the other. At the moment, it’s a movie script and a thematic short story collection. In the meantime, I do the other stuff and always try to keep the classic ‘work hard and be nice to people’ philosophy in what I am up to. My parents would kill me if I didn’t. I read as much as I can. I study what I’ve read. I underline the words and phrases that struck me as unusual or brilliant or something I had never considered and then I copy them into a notebook or onto my laptop. I read a lot of short story collections and anthologies. I read scripts. I read what writers say on writing. I talk to other writers. I talk to editors and to artists and to people interested in collaborations. I listen to loads and loads of music. I watch how other creatives create. How they describe what works in their process. I am inspired. I listen to podcasts; New Yorker Fiction podcast mostly, but also How To Write type podcasts. I read How To Write type sites and books and articles. I make notes. I put their theories into my practice. I try to improve. I edit an online journal that I co-founded to showcase the work of young and emerging Irish writers (www.wordlegs.com). We use social media and other creative outlets to highlight the journal. We’ve been going two years and our fanbase and submissions keep growing. We’ve done it without any funding or profit. Just a passion to make it work. Facebook: (www.facebook.com/wordlegs) or twitter (@wordlegs) We update these pages with literary news, opportunities or advice for writers. We advertise our alumni’s current projects and successes. 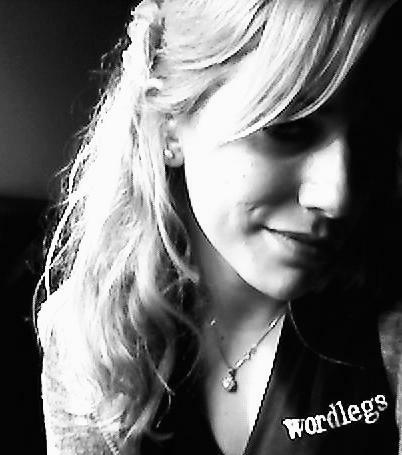 I talk to the other wordlegs’ team about new things we could do for our writers. I talk to other writers about new things we could do at wordlegs. This year, we collaborated with podcasts.ie, (one of my stories is here: http://www.podcasts.ie/2012/03/em-reapy/) we released an app into the android market, we launched www.wordlegs.com/30under30; a two part ebook featuring work by 30 promising young Irish writers. We’re planning workshops, readings, guest editors and a festival. More collaborating with artists and musicians. A print edition. A special edition. A translated edition. A bursary. We brainstorm, negotiate, make stuff happen. I submit my own work to other magazines and journals too. I make a note of any new acceptances or rejections. I also enter competitions. I read the winning works and read what the judges have said about them. I apply for creative things and have been fortunate to have received Arts Council awards in Ireland and be selected as Tyrone Guthrie’s Exchange Writer to Varuna Writers’ House in Sydney where I’ll be in July and August. I will still notice what’s going on; observe my environment, what I can hear and sense, what colour the sky is, what smells are hitting me. I’ll talk about writing to anyone who’ll let me. I let people tell me their stories. ‘Here, you should write this one down,’ they say and I listen and I learn from them. Not just from their tales but from the way they speak. The way they phrase things. The logic which organises their sentences. Their body language and mannerisms. I imagine their world and the world of everyone and anyone else as much as I can. The human race is infinitely fascinating in its diversity. I want to explore what motivates people. For me, I’m motivated by knowing I don’t want to go through life being someone who talks about doing things. I’ll do them and talk about them after. It’s back to an awareness of my flaws but at the same time an awareness of how I can improve. If I fail, I fail. Big deal. Next time I might succeed. Next time I might do it completely different. Next time I might just leave it to the experts. At least I’ll know a bit more about it and about myself from trying. And in the morning, I will look forward to it all again. NOTE: I hope to do a follow-up with Elizabeth after her stint at Varuna Writers’ House, so sign up to receive updates!